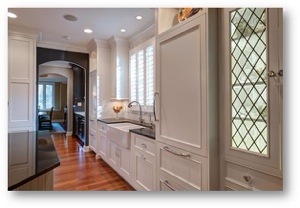 I’m often asked if a white painted kitchen will go out of style. The answer is, unequivocally, NO! White kitchens are like ever changing canvases, a back drop for seasonal decorating. Change your dish towels, pictures and ornamentations, and you have a whole new space. This keeps things fresh and interesting for many many years.